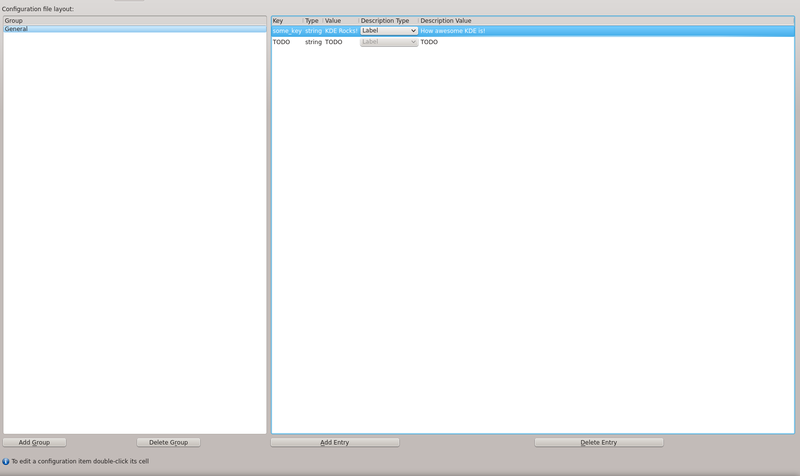 Plasmate’s UI consists of two different views. 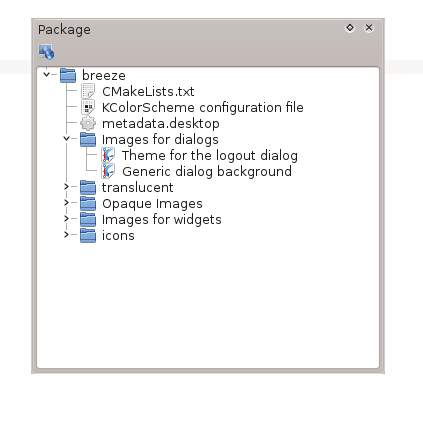 The first one is the startpage which serves the purpose of creating new packages and loading existing ones and the second one is the main window with the appropriate editor and the various dockwidgets that can be used for the specific package. 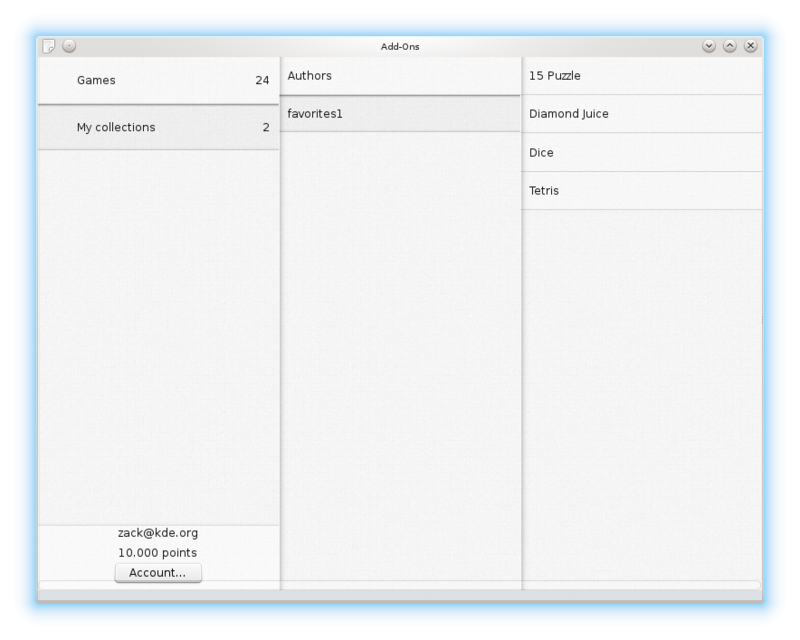 KDevPlatform offers an empty main window which gets populated with plugins. 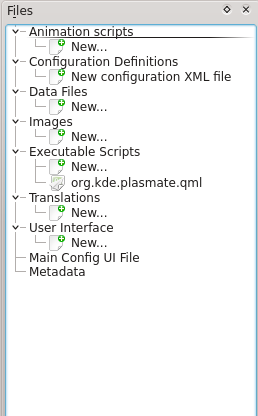 Which offers all the features that plasmate needs, so the decision was to reuse the main window from KDevPlatform and to drop the plasmate one. Which is great because we don’t have to maintain our own and of course we could improve the KDevPlatform’s one if we need to. From a technical point of view, the plugin is using the KDevelop::ProjectModel which is a QAbstractItemModel and I have just used the QIdentityProxyModel in order to change the names of the files. Note that the port is in progress so by the end a lot of things will be polished. Personally while I like the original plan I am not happy with the results because of the maintenance burden and the lack of collaboration, plasmate isn’t alone in the universe. What I didn’t have realized back then was that it takes so much time to maintain a plasmate and also to develop/improve the tools that it offers. The struggle was real in KDE4 and while we were porting plasmate to KF5. Plasmate isn’t alone in the universe, its not like people used to code using plasmate in the past years. But there is one IDE which fulfilled that for years, KDevelop 🙂 Until now people were able to use KDevelop and also to switch to the standalone application like plasmoidviewer, but this isn’t the best that plasmate can provide to KDevelop. KDevelop isn’t a monolithic IDE. KDevelop is an IDE with a lot of plugins which are based on KDevPlatform. Even KDevPlatform isn’t a library, it’s a set of libraries. So extending KDevelop is possible. So this year I was accepted at Google Summer of Code with the project of porting plasmate to kdevplatform. One of the basic features of the bodega ecosystem are the Collections. 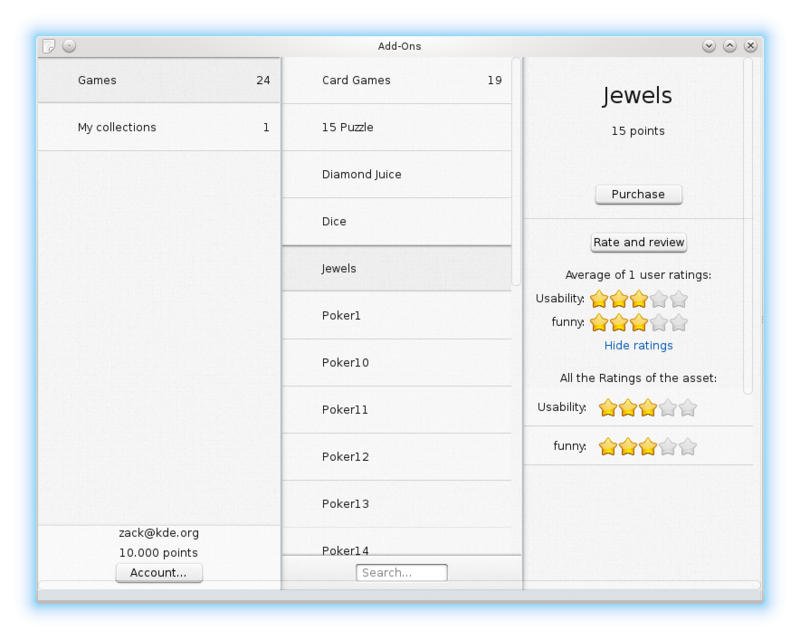 The collections are a set of assets with a common characteristic. A collection can be something like the “Most Viewed Assets” or “Most Downloaded Assets”. in our clients. Below you can see some screenshots from our clients. During my Google Summer of Code 2013 project I had to implement the ratings feature. Also all the bodega API is documented at http://apidocs.makeplaylive.com/bodega. For bodega we decided to use discourse. 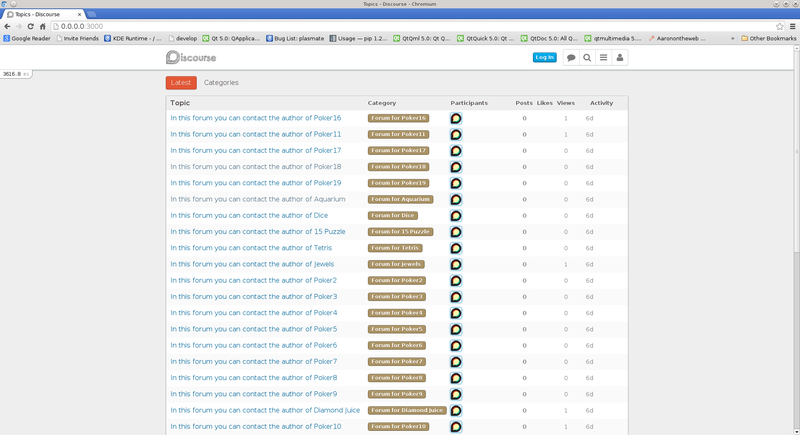 and for each asset there is a category in discourse which contains posts and topics. We are happy to announce the move of the Bodega Content System Web Application(bodega web-app) Client in KDE’s playground. The bodega web-app client is a frontend for the bodega-server like the Addons Store is. We have made a video which presents some of the basic features of the bodega web-app client. The bodega web-app client is a playground project so its not ready yet, this is just what we have done until now. We have setup the bodega web-app client here in order to make it easier for people to test it and keep an eye on the development of it. We are very happy to announce the 1.0-beta1 of plasmate. 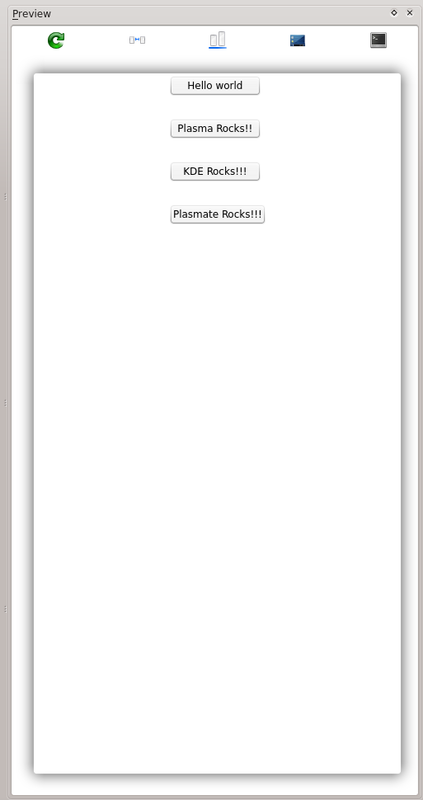 Plasmate is part of the Plasma SDK. 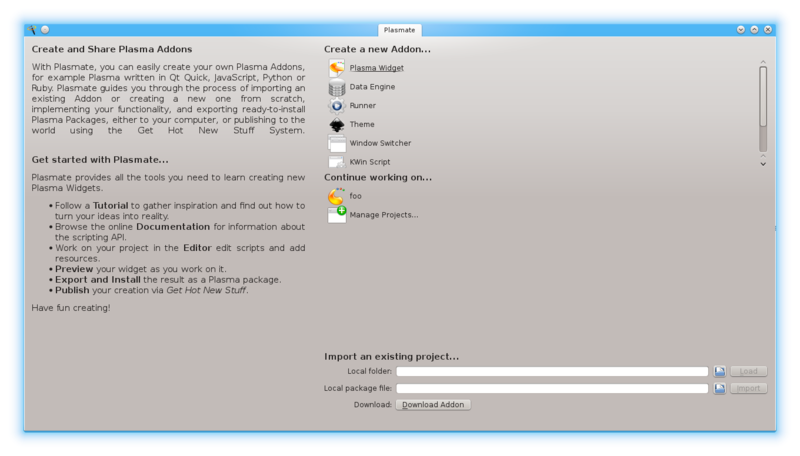 The Plasma SDK is consisted of the old kde-workspace tools and plasmate, which is the plasma’s IDE. 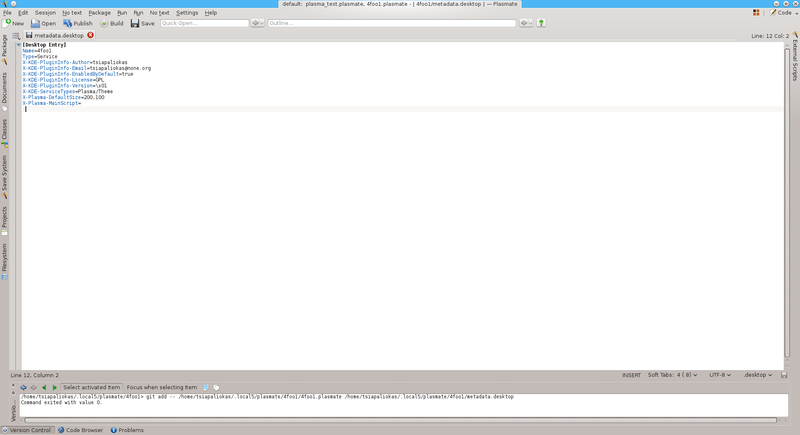 Plasmate makes the developement/testing/deployment of your application very easy and fast. 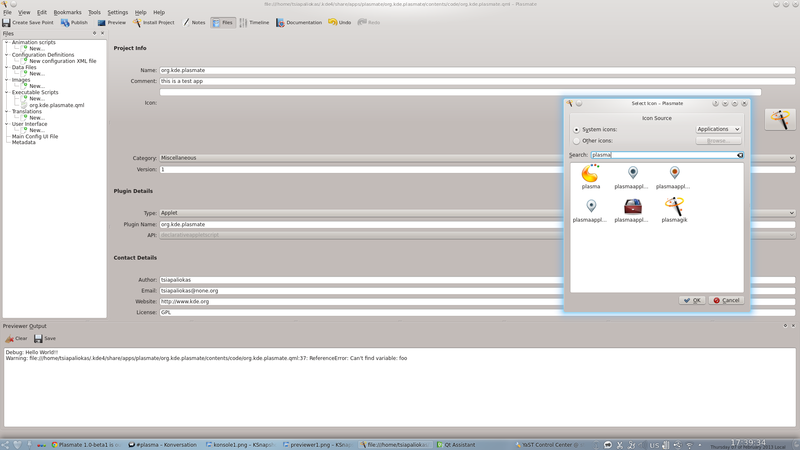 Your application can be a plasmoid, dataengine, runner, theme, a Kwin effect, a kwin script and a kwin windows switcher. 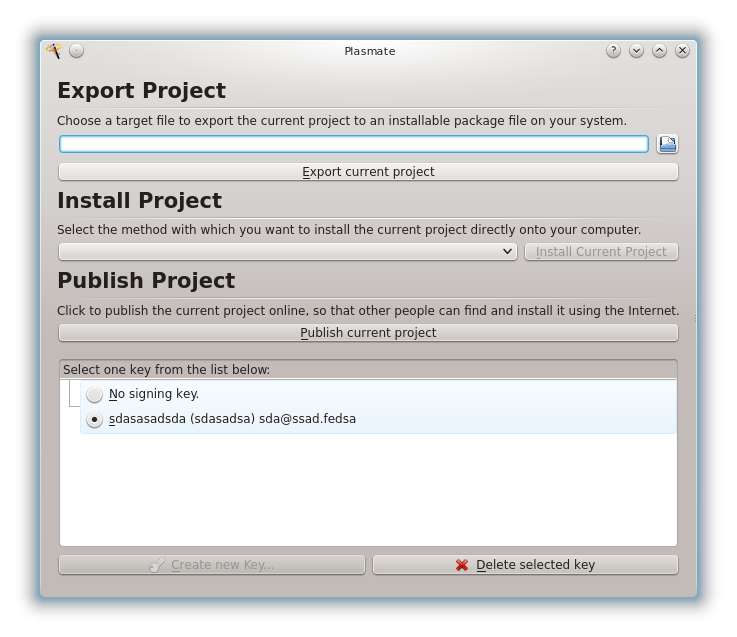 Plasmate doesn’t restrict you into a specific language, each package supports a variety of languages which you can use. In order to create a package, this has to follow a certain directory structure, of course plasmate is able to create a package with the correct directory structure but if you don’t know the directory structure in how will you add more files into the package? 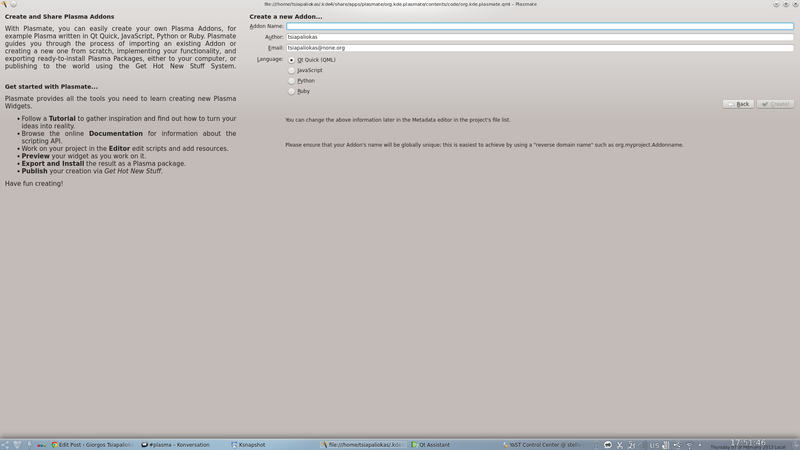 Plasmate offers a semantic file browser which makes it easier. of course a nice embedded previewer without some output is useless so..
You don’t need to know any entry in the metadata.desktop file, the metadata editor does the job for you! Do you want to install or to publish your plasmoid but you don’t know how? 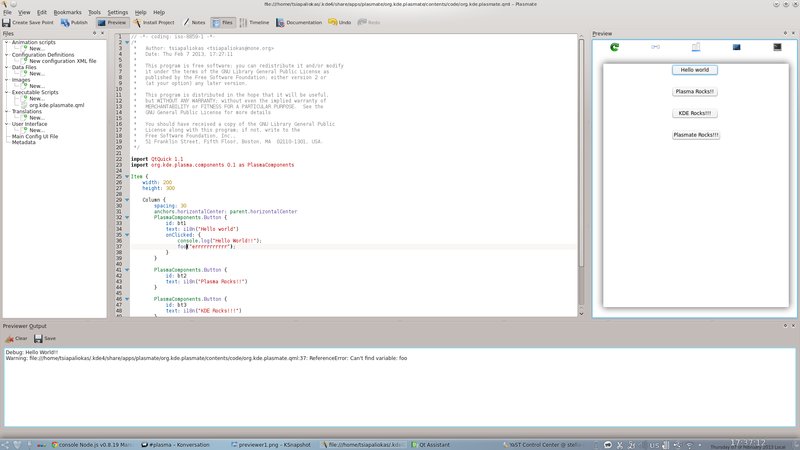 This year in my GSoC project among other stuff I also implemented the KConfigXtEditor. With the KConfigXtEditor you modify/create your xml files which are being used from the KConfigXt framework. Any feedback is really appreciated in this phase since we are approaching the 1.0 release. You can find more information about plasmate in our community wiki page. You can download the complete Plasma SDK from here.